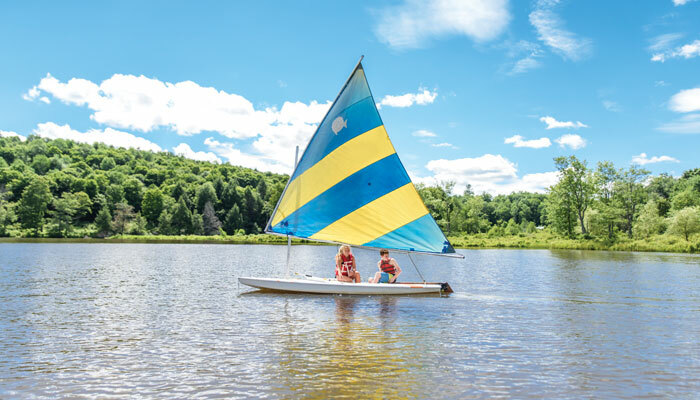 Sailing and Windsurfing at Camp Lohikan! 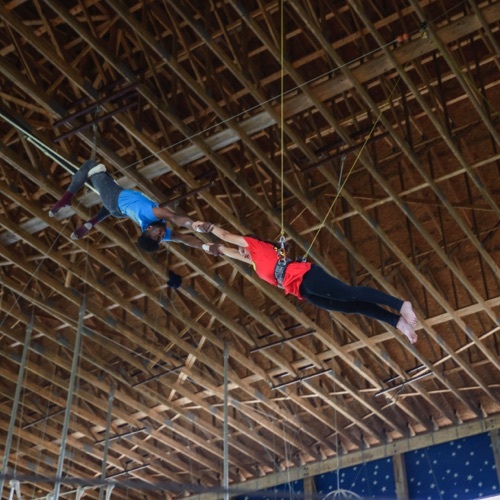 Learn how to set a course, hoist the sail, tack and jib, and run with the wind! 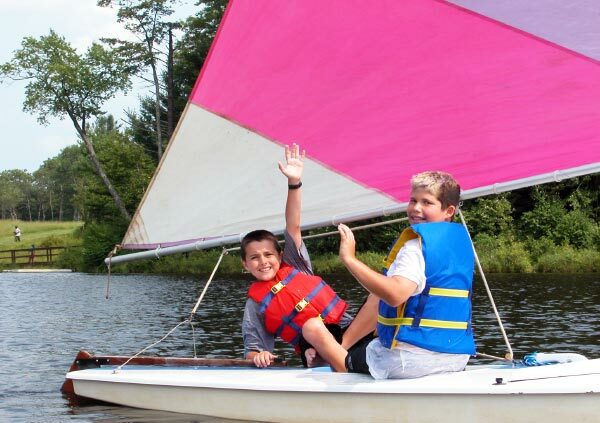 Camp Lohikan’s sailing program offers beginner through advanced levels of sailing. 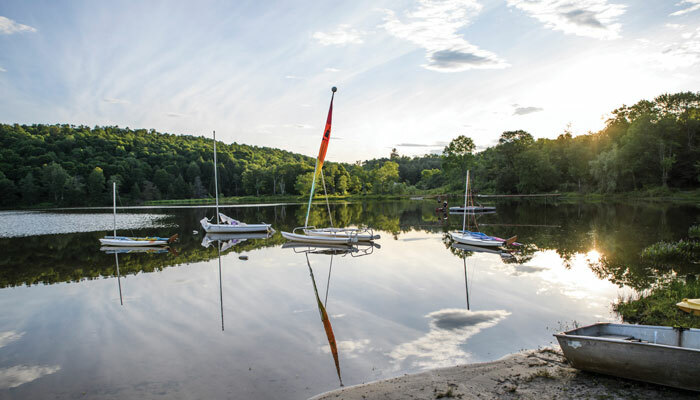 Campers are instructed in basic seamanship (rigging/derigging, knot tying), sailing maneuvers (tacking and jibing), boat handling (steering, sail trim, capsize, recovery), course sailing, and safety. We instruct sailing at all levels. 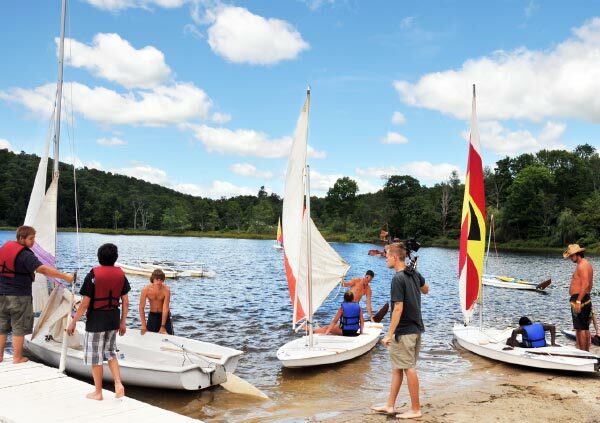 Participants in the elective program can schedule as much sailing and windsurfing as they want. 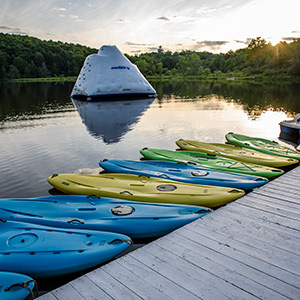 Our 40 acre lake is private so there’s no interference in the operation of our program. 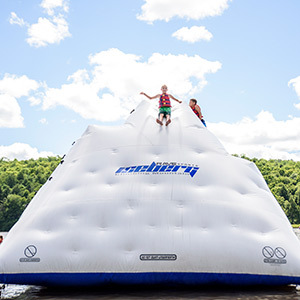 No one else uses our lake but our campers and staff. 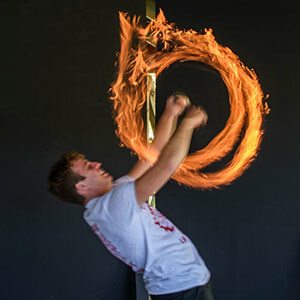 All of our instructors are certified. 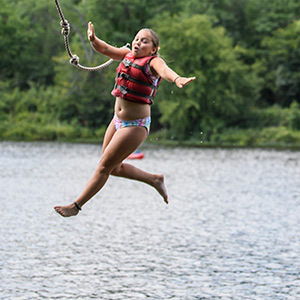 Last summer we had more than 30 lifeguards working at the lake. It’s a popular program. 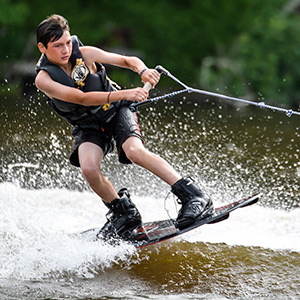 Skill levels are recognized in sailing, canoeing, windsurfing, and jet skiing and awards are presented on a weekly basis. 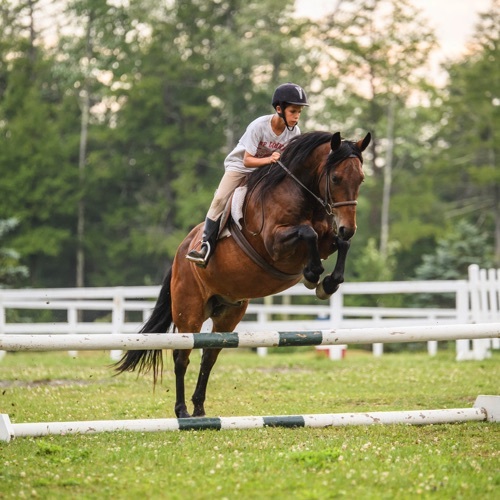 Skill development is one of our camp goals. 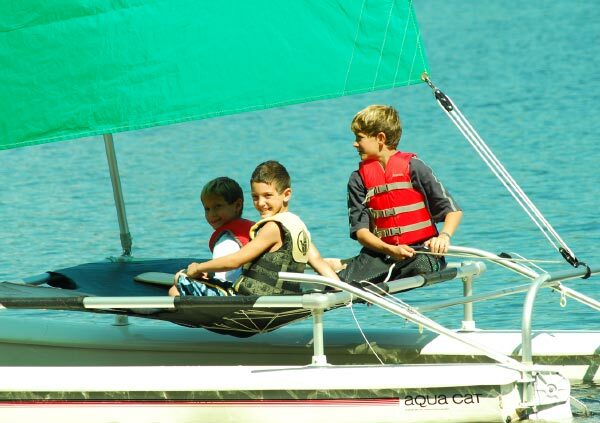 We use sunfish, lasers and hunter class sailboats to instruct. 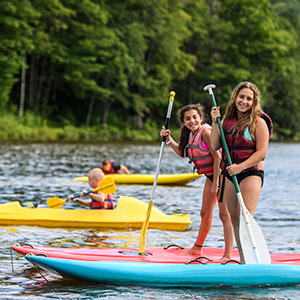 Once campers have demonstrated their competence in the fundamentals, campers practice their skills in pairs utilizing the sunfish boats. 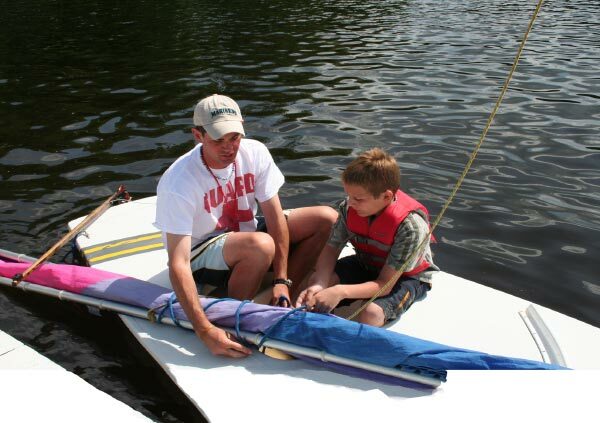 Hands-on experience is the best way to learn to sail so our emphasis is on learning by DOING. 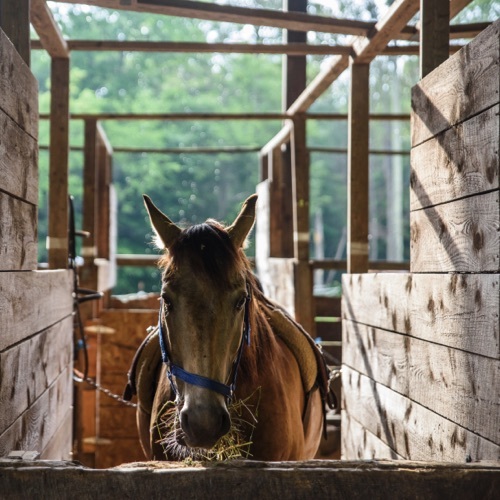 … always under the supervision of our staff. 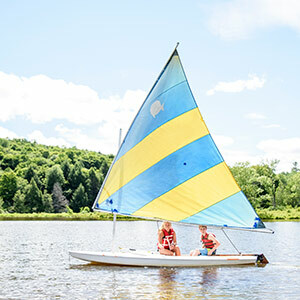 Sailing clinics are also scheduled every two weeks. These clinics are designed for our advanced sailers. 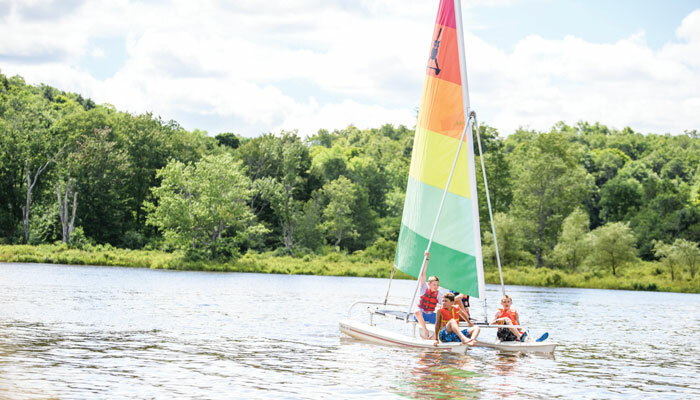 After three days of training, campers are invited to participate in Lohikan’s sailing regatta which is a popular sailing competition. 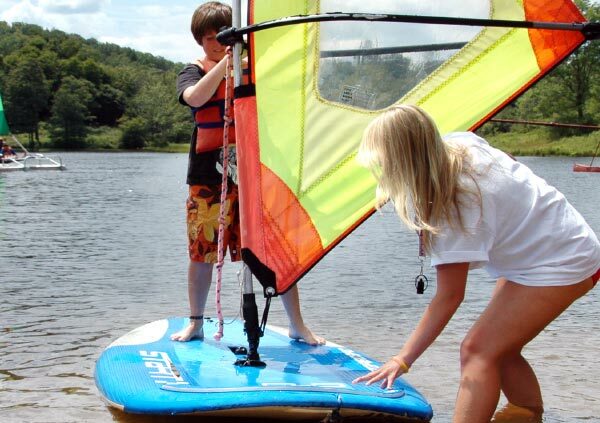 Lohikan’s windsurfing program is taught utilizing the latest wide-body boards. 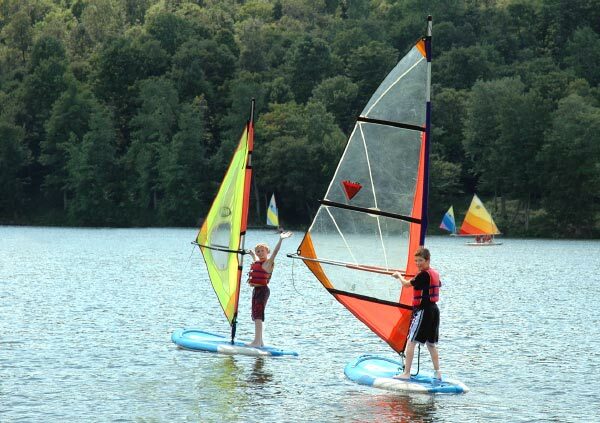 Campers who earn the beginner sailing skill level qualify for the windsurfing instruction. 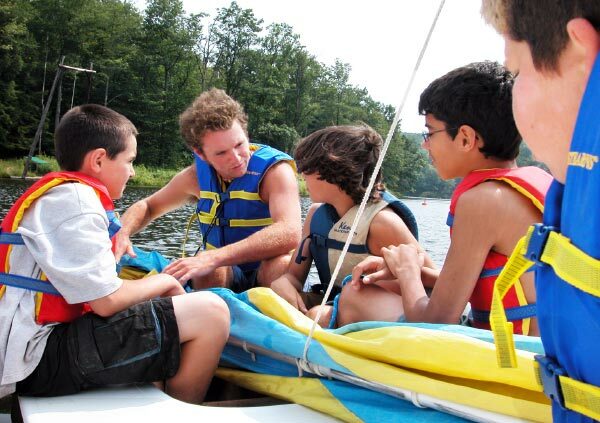 Camp Lohikan’s sailing and windsurfing programs are led by trained instructors who are lifeguard certified. 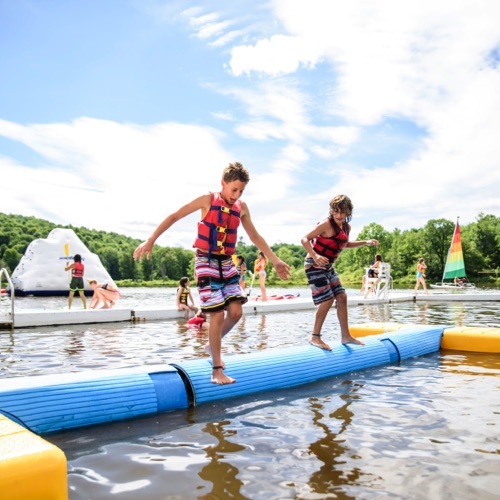 Once out on the lake campers are supervised and assisted by instructors and lifeguards posted in patrol boats that cruise the lake. 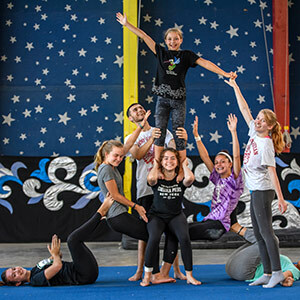 It’s a FUN program and a great way to learn a lifelong skill!